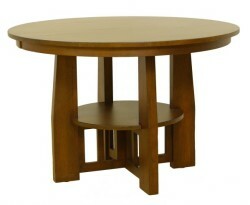 Not only for small spaces and bistro sets, pub tables are found in many of today’s modern homes. The raised height of pub tables—available in both counter (30 inches) and bar heights (42 inches)— can add another dimension to your dining space. 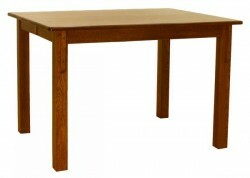 Pub tables from Amish Originals are available in sizes that can accommodate as few as two people or seat a crowd at your next family dinner. Established in 1992, Amish Originals works with more than 70 families in Ohio’s northeastern counties; the skills and techniques of these furniture craftsmen have been passed down from generation to generation—ensuring a consistently quality product that will quickly become a family heirloom. All of the items ordered at Amish Originals are made-to-order, so each piece of furniture can be customized to suit both your décor and space needs. 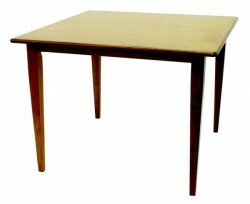 Customers can select the size, stain color, number of leaves and wood species for their pub table. All of our pub tables are made from solid American hardwoods like Red Oak, Quarter Sawn White Oak, Maple and Cherry that have been harvested responsibly. To see and feel the quality of our pub tables, stop by our Westerville, Ohio showroom or learn more by calling one of our talented sales and design team members.